It’s October, which means it’s officially acceptable to live out your childhood fantasies and dress up as your favourite characters. If you’re a longtime reader of the blog, you may remember that I’ve attempted this very Halloween costume before – 5 years ago. But two things have happened since then: Disney’s live-action Beauty and the Beast remake, and my perfectionist tendencies ramping into overdrive. People who know me well have heard my rants about the live-action Beauty and the Beast movie. Probably more than once. 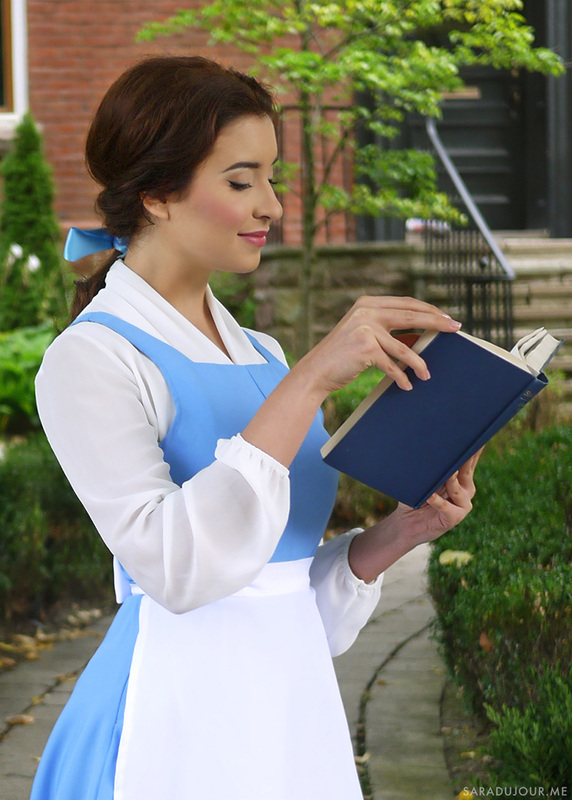 There are a lot of things I liked about it, but I have a Very Big Beef with Belle’s live-action costumes. Not only are they a fairly big departure from the animated versions, they made changes that neither made sense nor added anything. She wears a necklace?? Why? Combat boots, seriously? And why that horrific mish-mash of various patterned fabrics??? 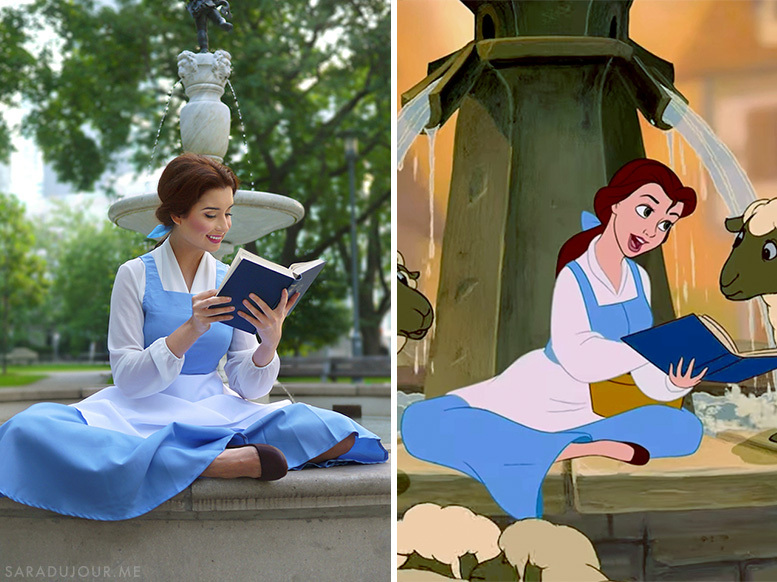 Belle’s costumes in the animated movie were some of the most iconic looks of any character for my generation, and to me, they didn’t show a whole lot of respect bringing them to life on screen. So I wanted to try my hand at it. The first stop on my Day-in-the-life-as-Belle tour was a local park. 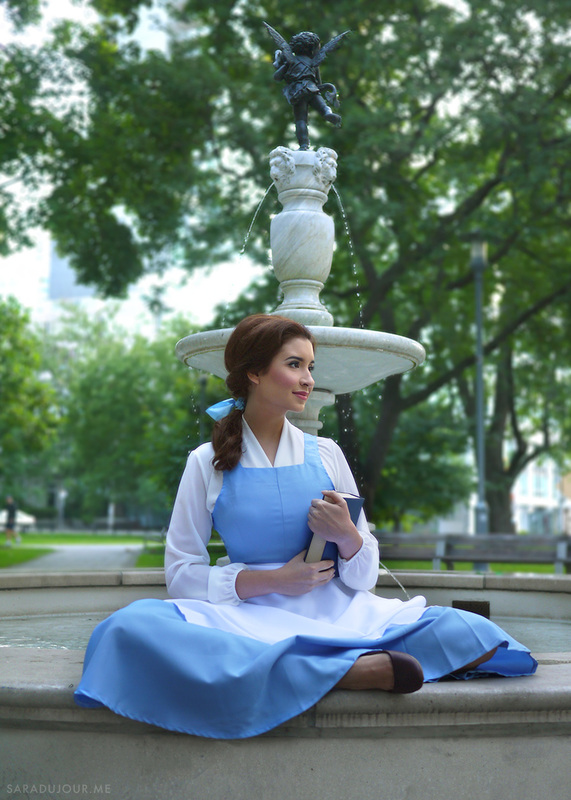 Because if you’re not running up a grassy hill, singing about wanting much more than this provincial life…are you really cosplaying Belle? In case you want to recreate this costume yourself, here’s what I did. 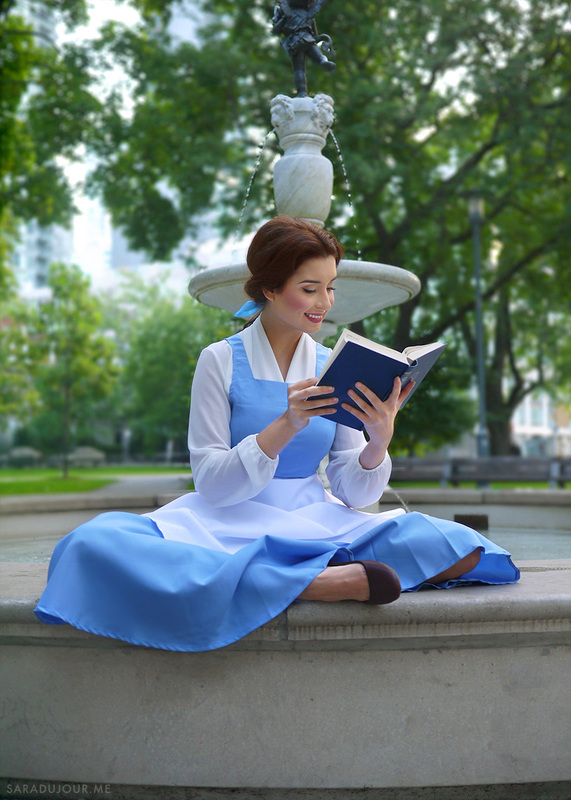 I started by buying this Belle costume. 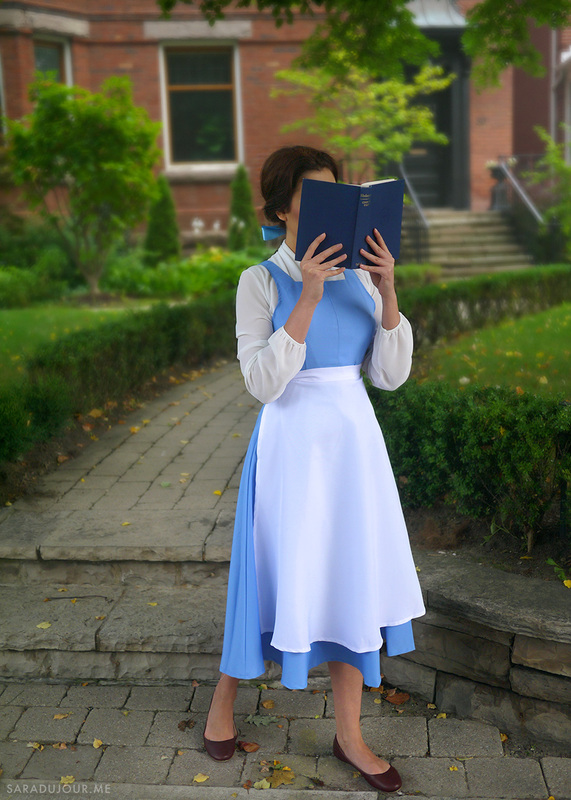 I shopped around EVERYWHERE, poring over the details of the costume, to find one that was the most accurate in terms of the dress’s colour, length, neckline – everything. I promise you this one is the closest that exists anywhere. 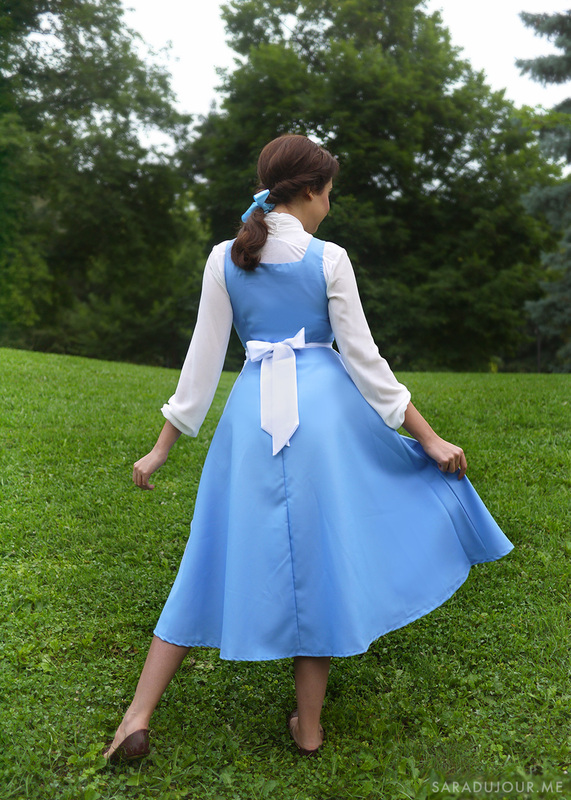 The costume comes with the blue dress, white apron, white blouse, and matching hair bow – but I knew I wasn’t going to use the blouse or bow. 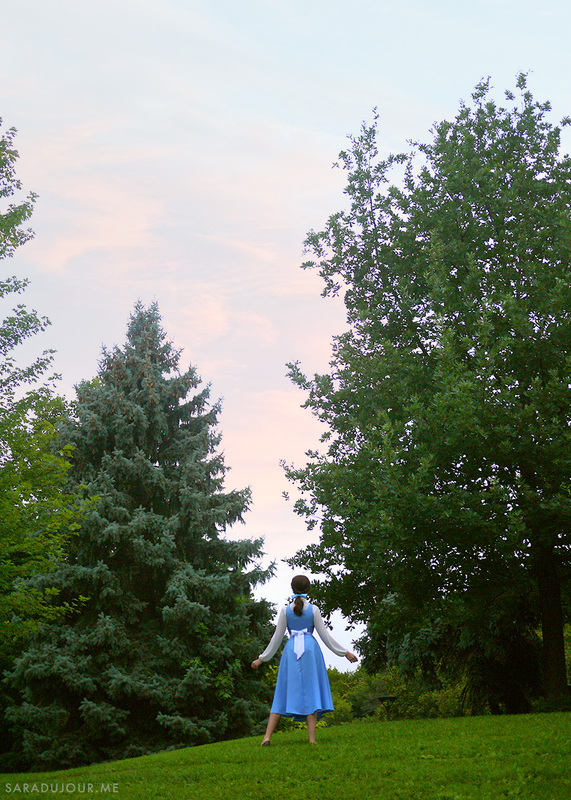 Instead, I used a white blouse that I already had in my closet that more closely matched Belle’s blouse in the animated movie (lighter, flowier, with a v-neckline and billowing sleeves). 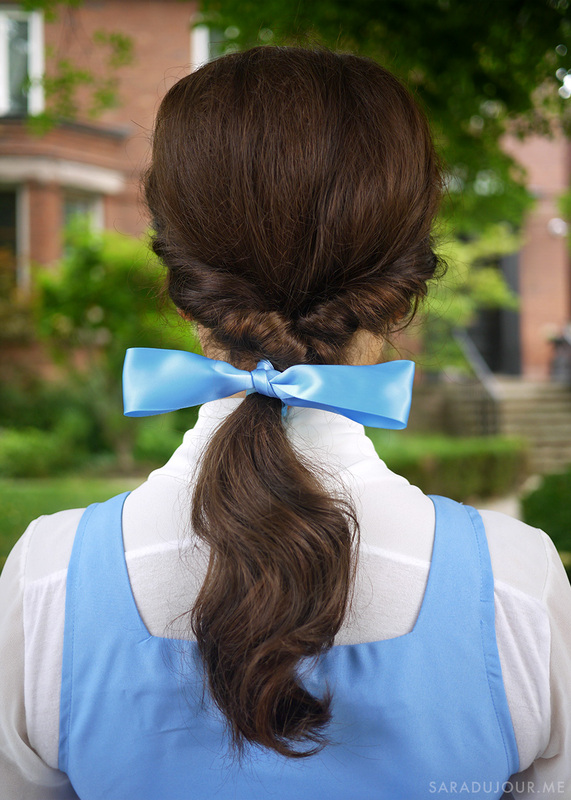 I also replaced the provided bow with blue ribbon I bought at a local fabric store, since I figured if Belle existed in real life she’d have tied her hair with a ribbon rather than a fabric pre-made bow. 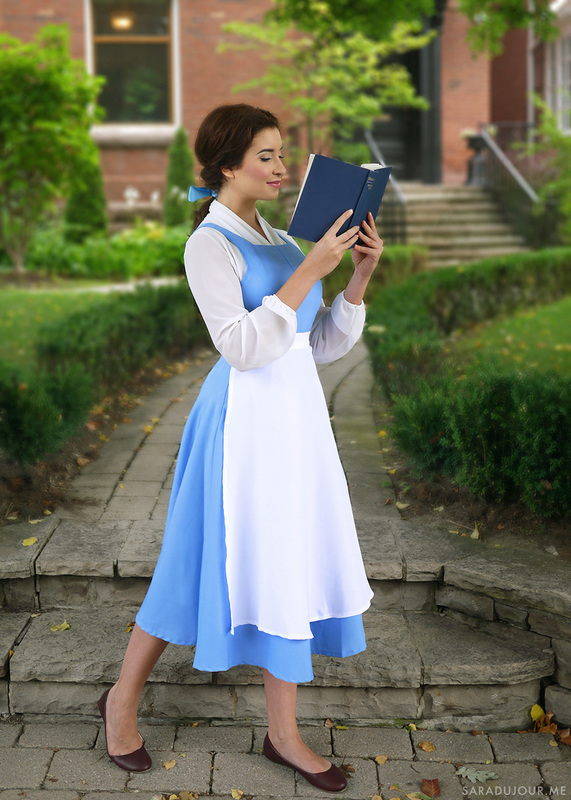 If you look really closely at the animated movie, you’ll notice that Belle wears dark brown (not black) flats. The exact shade was surprisingly hard to find, but I found the perfect pair here. I did my best, but just couldn’t make the sheep happen. Sorry, guys! Naturally, we had to make a stop at the bookshop (okay, library – Belle is a smart woman on a budget!). 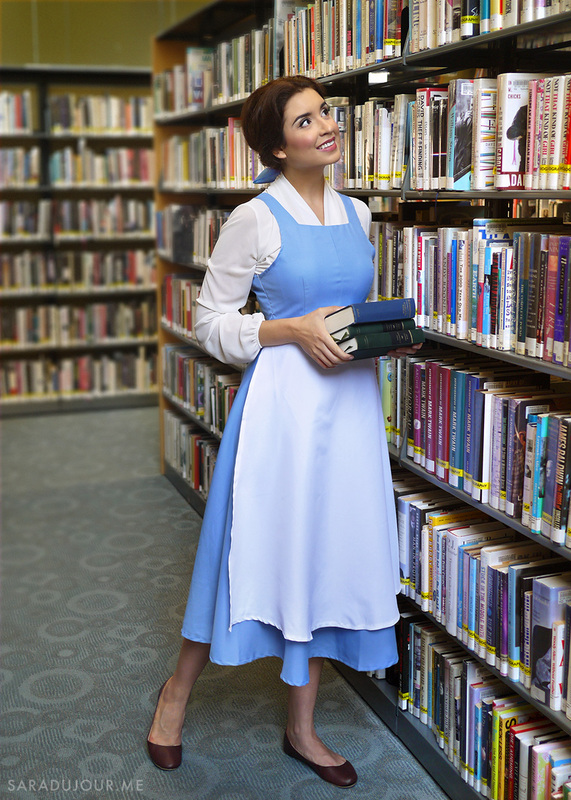 No day-in-the-life-as-Belle would be complete without finding a few great new books to disappear into. And finally, the day was nearly done I was left to enjoy myself. With a dreamy far off look, and my nose stuck in a book, of course! In terms of makeup, I kept the makeup fairly natural with rosy lips and cheeks and full lashes. I added cat eyeliner swooping up to try to mimic the appearance of Belle’s animated, upturned eyes. 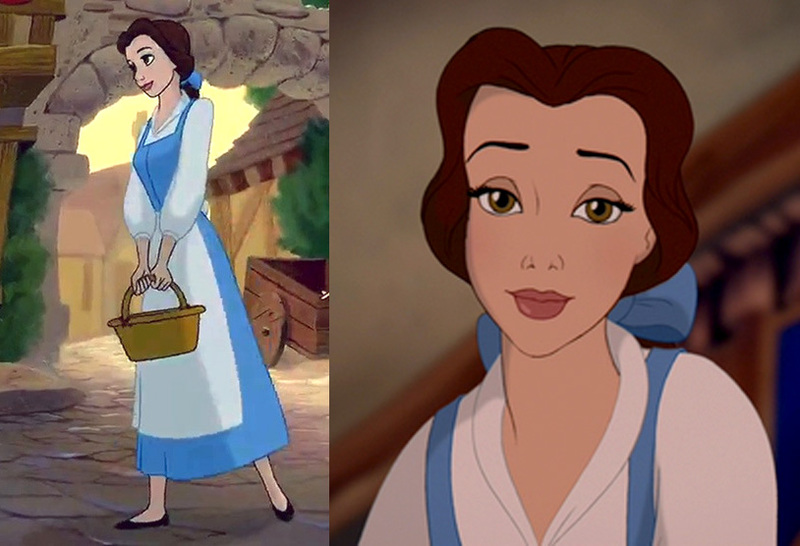 To create Belle’s village hairstyle, I parted two front sections down the middle, teased them for volume, and twisted them towards the back of my head. Creating a ponytail, I twisted the tail inwards, then fluffed up the front and back rolled sections to create her unique hair shape. Make sure to curl all your hair in the same direction, so the ponytail curls all together, one way, matching the animated’s style. Then add a whole lot of hairspray and tie the ribbon into a bow! Are you planning to dress up for Halloween this year? What are you thinking of going as? What do you think I’m dressing up as this year? Let me know in the comments below.